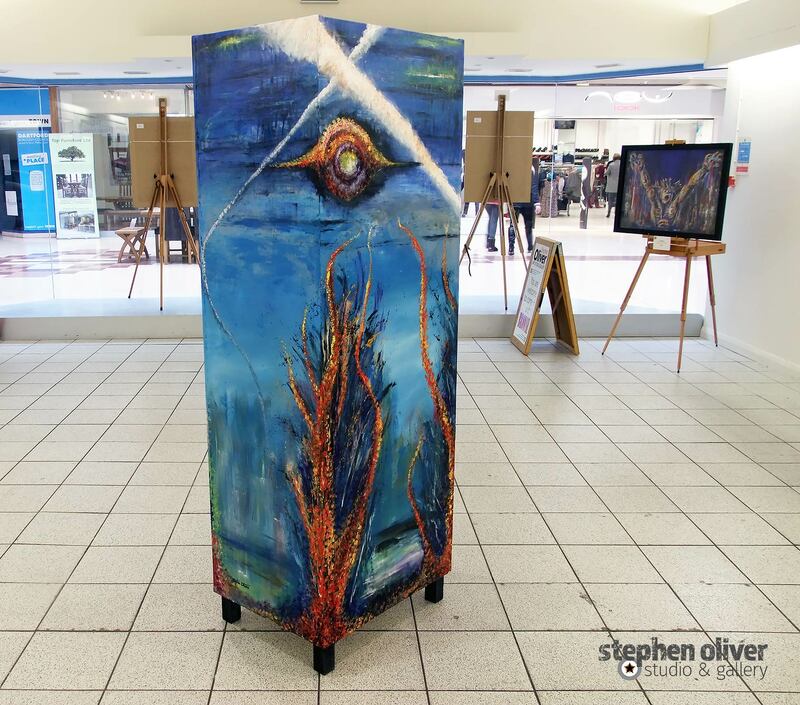 The first of my Art Monoliths, entitled Sun King, is now complete and on display at the Gallery. 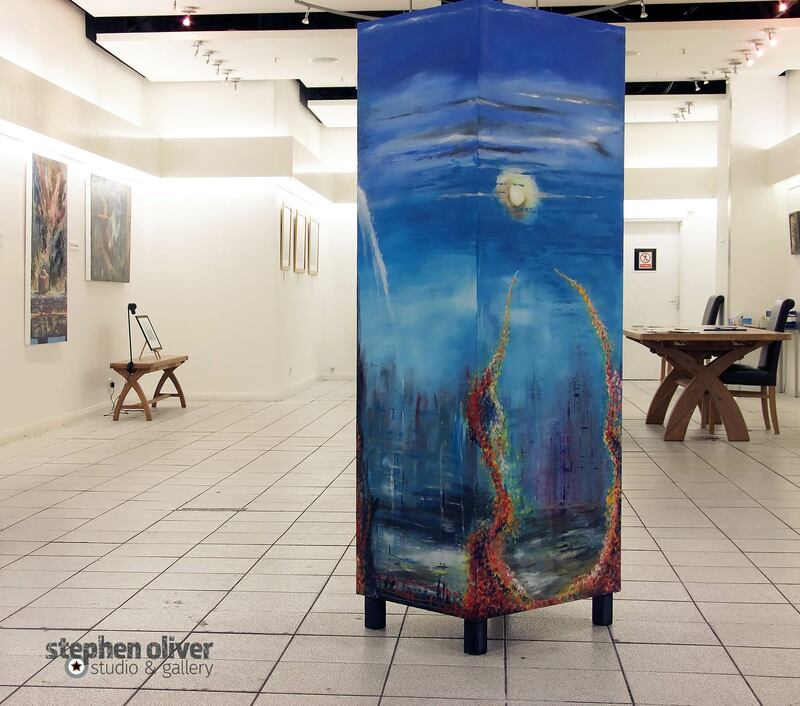 Acrylic on canvas, standing at exactly 72in (183cm) tall, 25.5in (65cm) wide, and 19.5in (50cm) deep. It is a large piece but with a relatively small footprint. This is my portrayal of nature – specifically the Sun having complete control.